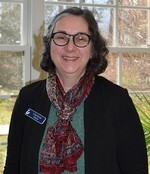 CORNWALL, NY – The Board of Trustees of the Cornwall Public Library has named Charlotte Dunaief as the new Library Director, following her appointment in September as interim director. Ms. Dunaief permanently replaces Mary Lou Carolan, who accepted a position with the Newburgh Free Library. Ms. Dunaief began as a children’s librarian before joining the Cornwall Public Library in 2010 as the head of Adult Services. She received her master’s degree from the Palmer School of Library and Information Science in 2009. The Board of Trustees chose Ms. Dunaief because of her passion for serving the Cornwall Public Library and the community at large. She has extensive experience in managing the daily operations of the library, including scheduling and programming.